Computer programming can be an intimidating affair for many people. Those who have had decent exposure to it all know the frustrations and complications of learning and mastering a new programming language. Whether it’s sitting trying to debug lines upon lines of code, or perhaps even initiating a project, most people would rather avoid going through those hurdles altogether. Learning the craft can often be unappealing and, as a result, most tend to shy away from fields like Computer Science and Engineering. Admittedly, many of the ways the subject has been taught and portrayed are not inspiring enough to generate serious public interest. That all might change, however, as Google has just extended open invitations to the public for its newest tool: app inventor for Android. 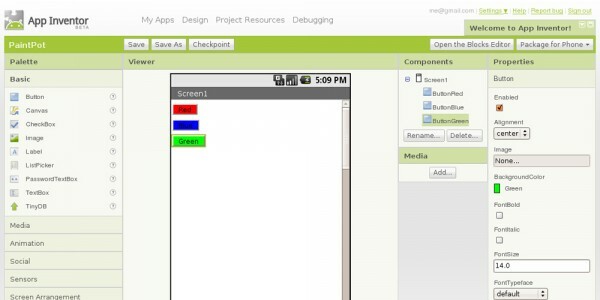 App inventor for Android is a browser-based development environment designed to make building mobile applications for the Android operating system easy. Even individuals with no prior app programming experience can learn how to use the tool. This is because you don’t actually have to write any code! The UI of the tool is designed so that you can visually create apps. Everything from the app’s structure to its behavior can be laid out using functional blocks representing certain actions or attributes. There are blocks to store information, blocks for repeating actions, blocks to perform actions under certain conditions, and even blocks for the app to talk to external services like Twitter. Even though the user doesn’t actually code the app’s functions specifically, they will get exposure to software design methodologies that are more intuitive and easier to learn than picking up a textbook and learning the subject. The greatest part is the gratification of having a fully functional Android app that can be used on your phone! While app inventor may not be great for serious developers due to certain limitations, it is definitely still an extensive tool. For example, users can store data in a database, so people like teachers can store quiz questions for their students. Developers also have access to all the features of the phone being programmed for, like the GPS, camera, texting, etc. App inventor even lets you communicate with the web, so you can link your app’s feature with web-based services like Amazon. From games to apps using Android’s text to speech capabilities, the educational potential of the tool is invaluable. Also, since Android is an open source development environment, there are plenty of tutorials and resources available to help someone get started. An added advantage since App Inventor utilizes a web interface, users can develop apps on multiple platforms like Linux, Mac, and Windows. This is in contrast to Apple’s iOS 4, where apps can only be developed on Macs and require actual programming experience. Over the past year, app inventor has undergone a fair amount of testing in classrooms around the United States. The verdict in general has been positive, prompting Google to finally make it available to the general public. Whether it actually catches on is a different matter. Nonetheless, it certainly has the potential to bridge the gap between the art of programming and the average individual’s desire to learn the subject. It will be interesting to see how the Android app market changes too, as the developer community might expand greatly. We could see more innovative apps as people previously limited by programming experience will be able to pick up the skill faster. 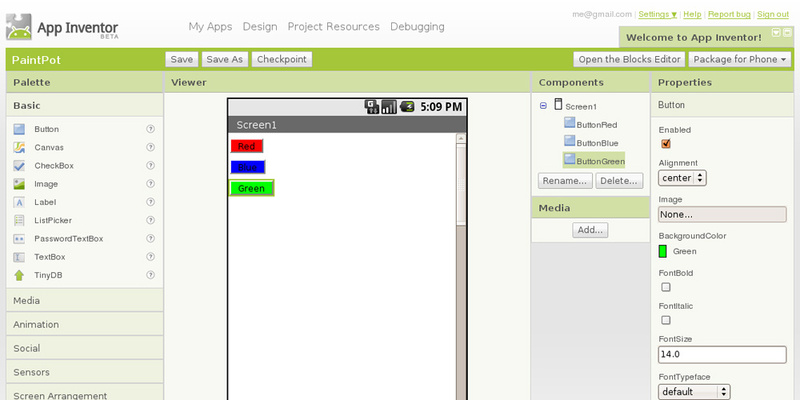 Currently, app inventor is in its Beta release. To request an invitation for app inventor, users will have to fill out this form.